Recently, noninvasive measurement of regional left ventricular (LV) function has gained significance to diagnose the pathology and quantify the extent of disease process. This, in turn, can guide the clinician to modify the therapeutic intervention and predict the postoperative outcome of the patient. It has the potential to become relevant in the perioperative period for risk stratification, prognostication, and determine the adequacy of surgical repair. However, it has to be noted that the assessment of regional function is more difficult than assessing the global function; therefore, it remains subjective and requires significant training. Magnetic resonance imaging (MRI) could guide us in the assessment of the regional LV function assessment. However, the risk of radiation and time taken to acquire the images has made echocardiography as the most convenient tool. The other advantage of echocardiography and, in specific, transesophageal echocardiography (TEE) is that it can be employed in the perioperative setting and can thus provide a real-time picture of the regional LV function without disturbing the surgeon. Echocardiographic strain imaging is a technological advancement that can objectively quantify regional myocardial function. , Initially developed as tissue Doppler imaging (TDI), which was developed primarily as means of calculating strain and strain rate (SR) has now been expanded to the technology of speckle tracking computer processing. , In this article, we will be reviewing the techniques of strain imaging, their advantages and pitfalls, and the application of strain imaging in various disease processes. WHAT IS VENTRICULAR STRAIN AND STRAIN RATE? TDI signal is a modification of the routine Doppler flow signal. It is obtained using thresholding and filtering algorithms that reject echoes originating from the blood pool (by-passing the high pass filter). Setup of the machine by activating the TDI function allows decreasing the system gain using a low-pass filter and eliminates the signal produced by blood flow. Doppler shift obtained from myocardial tissue motion is of higher amplitudes (reflectivity 40 dB higher), and move about 10 times slower than blood (velocity range: 0.06-0.24 m/s) [Figure 2] and [Figure 3]. TDI of a midesophageal (ME) four-chamber view is acquired as a full-sector view; frame rate is 100 Hz and same image is acquired, but the sector is narrowed down to improve frame rates. Note that frame rates have increased from 100 Hz to 223 Hz [Figure 4] and [Figure 5]. A small pulsed wave sampling volume measures the velocities of the myocardium as it moves toward and away from the transducer. TDI will underestimate the myocardial velocities if the angle of interrogation is not parallel to motion. Patients with normal global LV function have systolic velocities >7.5 cm/s, whereas velocities ≤5.5 cm/s indicate LV failure. Systolic velocities <3 cm/s are associated with a significantly increased risk of cardiac death within 2 years [Table 1]. Doppler can be color-coded to provide a color map of blood flow patterns; in the same way, tissue Doppler can be color-coded to display myocardial velocities; red depicting positive velocities and blue for negative velocities. The display is of real-time 2D gray-scale images overlain by color-coded myocardial velocities. Placing markers at various points along a ventricular wall produces a graphical representation of velocity against time called curved M-mode. Advantage over tissue Doppler is the ability to utilize spatial information and, therefore, assess regional and global LV function. 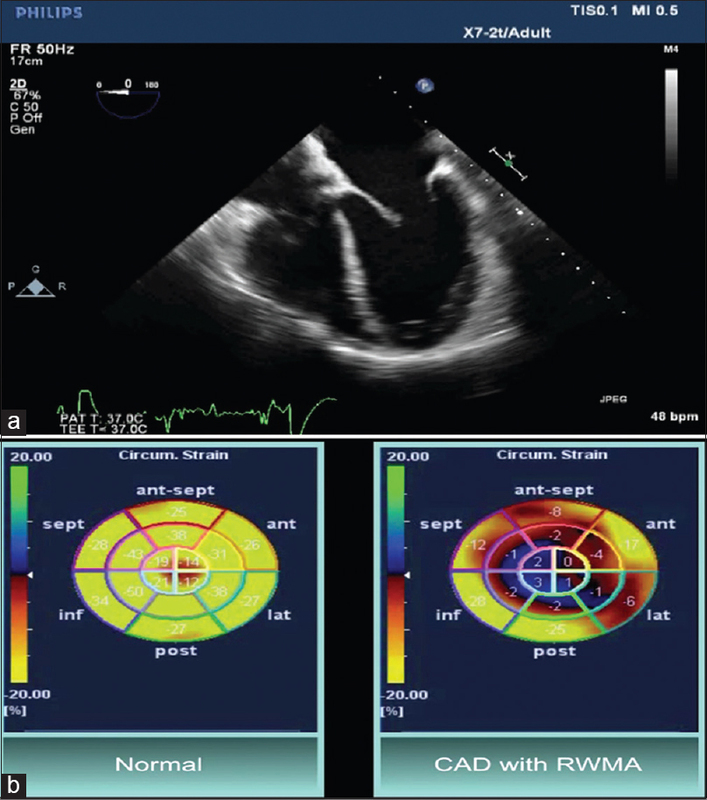 Advantage over 2D echocardiography is that the endocardial borders do not need to be clearly identified; dropout in walls which lie parallel to the path of the ultrasound beam is no longer a limitation in assessing LV function [Figure 5] and [Figure 6]. TDI is regarded as an accurate echocardiographic tool to quantify the cardiac function. , TDI utilizes the Doppler principle to convert ultrasound frequency shifts to velocity data. TDI derives strain from the velocity data by the following equation SR (E) = (Va − Vb)/L × cosθ, where Va is the velocity at point a, Vb is the velocity at point b, L is the length which is usually assumed as 10 mm, and cos is the cosine of the angle between the ultrasound beam and the direction of myocardial movement. Integration of SR yields strain, the normalized change in length between these 2 points. The calculation of strain by TDI requires the direction of the ventricular motion to be in line with the ultrasound beam. The principal drawback in TDI was the alignment of the Doppler scans line with the myocardial motion. , The Doppler angle correction analysis program has overcome this limitation. In the operating room, the ME 4-chamber, 2-chamber, and the long axis views can be obtained to estimate the strain and SR by TDI. With TDI, we are diagnosing advanced dysfunction. There are several disadvantages of TDI. First of all, they are derived from single dimension velocity measurements, but the myocardium deforms simultaneously in three dimensions. It is also important to know that the comparison of adjacent velocities is highly sensitive to signal noise. This can be improved by increasing sample distance but only in exchange for lower spatial resolution. Finally, data acquisition and processing are time-consuming. However, TDI can be a valuable noninvasive tool for routine clinical use to evaluate the myocardial contractile function. Speckle tracking is a non-Doppler technology that has recently been developed to quantify the strain and SR. , This technology uses the routine gray-scale images and calculates the strain employing a postprocessing computer algorithm. , In short, speckles, which are the natural acoustic markers distributed throughout the myocardium, are tracked from frame to frame. Special software allows spatial and temporal image processing with recognition and selection of such elements on ultrasound images. The geometric shift of each speckle represents local tissue movement. When frame rate is known, the change in speckle position allows determination of its velocity. Thus, the motion pattern of myocardial tissue is reflected by the motion pattern of speckles. By tracking these speckles, strain and SR can be calculated. At present, the optimal frame rate for speckle tracking seems to be 50-70 frames per second (FPS), which is lower compared to TDI (>180 FPS). This could, however, result in under-sampling, especially in patients with tachycardia [Figure 7]. Using higher frame rates could reduce the under-sampling problem, but reduces the spatial resolution and suboptimal tracking. Low frame rate increases the spatial resolution, but because speckle tracking software uses a frame-by-frame approach, this could also lead to poor tracking. , The advantage of this technique is that it measures the strain in 2D, thus making it angle-independent. Similarly, the reproducibility of strain measurements is better than TDI as documented by Ingul et al. One major limitation of this technique is the need for high-quality images to perform the strain calculation. Spatial and temporal image processing of acoustic speckles in both 2D and 3D allows for the calculation of myocardial velocity, strain, and SR.
A recent approach to quantify the ventricular volume and dyssynchrony is 3D speckle-tracking echocardiography (STE). The interest in 3D TEE stems from the fact that 2D echocardiography is restricted to a single plane and is subjected to beat-beat variability. As demonstrated by Pιrez de Isla et al.,  3D wall motion tracking system is better than 2D system for the assessment of myocardial strain. For a detailed description on how to calculate the strain using a 3D echocardiography, the readers can refer to the article by Gorscan and Tanaka. Briefly, the 3D system utilizes a pyramidal volume from a full volume dataset. Using the TEE, this can be acquired during a period of breath-hold from the mid esophageal 4-chamber view. A stable image is important for a successful 3D evaluation. The major limitations of 3D echocardiography are the slow temporal resolution and motion artifacts. Similarly, the spatial resolution of 3D images is not as clear as 2D images. Recent revision in the 3D software has permitted the acquisition of a better image quality with 3D TEE. It helps in the identification of subtle regional and global contractile abnormalities, identification of dyssynchrony, and evaluation of diastole mechanics of the heart and prognostic value. An increase in myocardial length is denoted by a positive value, whereas a decrease in the myocardial length is denoted by a negative value. 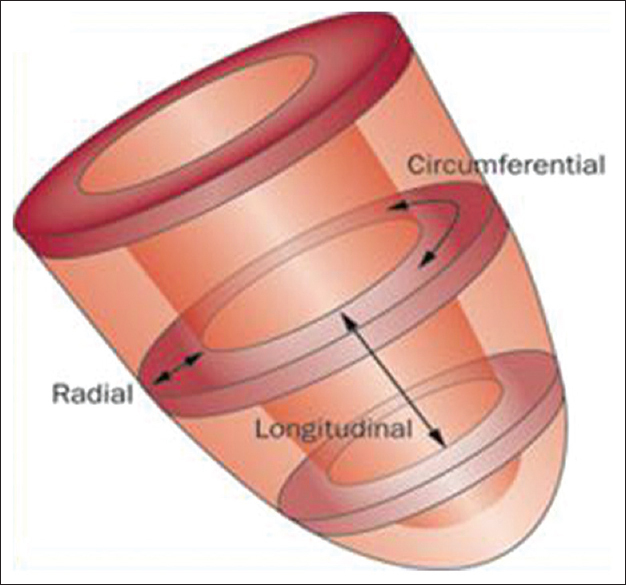 In the ME long-axis views, as the ventricle contracts, the longitudinal length becomes smaller and ε and SR values will be negative. Conversely, during diastole, the ventricle elongates and ε and SR will have positive values. However, note that during systole in a short axis view (SAX) view of the LV, the myocardium thickens, so that the measured myocardial length (thickness) increases and ε and SR will have positive systolic values, with negative values during diastole as the myocardium thins out [Table 2]. Global longitudinal strain (LS) is easily measured in a 2-chamber and 4-chamber view on TEE [Video 1]. WHAT PARAMETERS CAN BE OBTAINED? The parameters obtained with speckle tracking and SR are displacement, strain, SR, rotation, twist, twist rate, untwist, untwist rate, and torsion. The addition of strain imaging has increased the sensitivity of TEE to the detection of specific patterns of ischemia. It should be borne in mind that ischemic wall motion abnormalities can result in passive motion due to recoil and tethering from adjacent nonischemic segments. Strain imaging can differentiate active from passive motion, which is difficult on visual examination. Skulstad et al. used strain imaging to explain the pattern of postsystolic shortening with coronary artery occlusion. Weidemann et al. proposed a postsystolic strain index that could predict the extent of transmurality of myocardial infarction. Similarly, Lim et al. correlated the time-to-peak TDI strain with the percentage of transmural infarct. [Figure 8]a and b, and [Figure 9]. The assessment of myocardial viability is another useful property of strain imaging. Bansal et al. compared myocardial tissue velocity imaging (TVI) and STE for prediction of viability at dobutamine echocardiography in patients who were scheduled for coronary revascularization. They concluded that the combination of tissue velocity or speckle tracking imaging methods with dobutamine echocardiography can predict viability, with accuracy being the maximum at low-dose dobutamine. They also proposed that TVI measures can predict viability in both anterior and posterior circulations, but STE measurements predict viability only in the anterior circulation, thus making TVI superior to STE. Likewise, Hanekom et al. examined patients with ischemic heart disease undergoing viability testing by dobutamine echocardiography. They compared the wall motion abnormalities by both visual and strain imaging. At 9 months following coronary revascularization, visual examination had a modest sensitivity and specificity. This was significantly enhanced when strain imaging was added to visual examination. Strain imaging has also been used to aid in the diagnosis of diastolic dysfunction in patients with preserved ejection fraction. Kasner et al. concluded that SR imaging as accurate as TDI in detecting increased LV stiffness in preserved ejection fraction. Seo et al. in their study reported the usefulness of 3D speckle tracking in assessing myocardial ischemia. They opined that 3D speckle tracking has a tremendous potential to define LV mechanics. Ternacle et al. 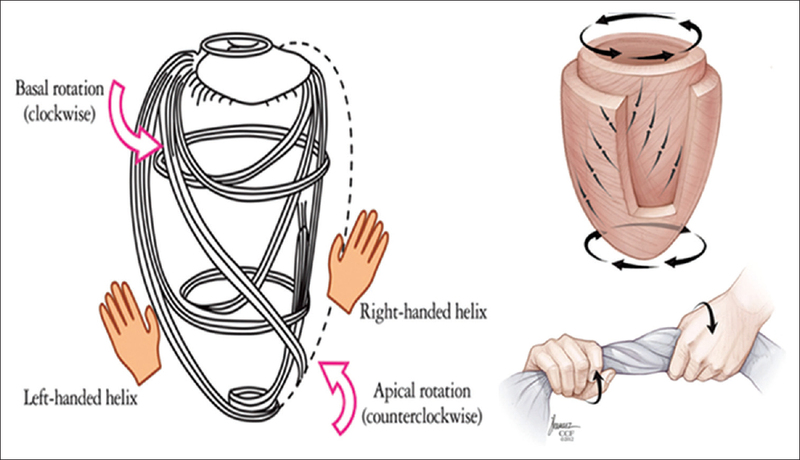 concluded that 3D speckle tacking diagnosed myocardial deformation due to ischemia before the appearance of wall motion abnormality as shown in [Figure 8]a and [Figure 9]. Strain imaging can play a pivotal role in valvular heart diseases when compared to conventional means alone. In patients with aortic stenosis and normal LV function, Delgado et al. demonstrated a decreased speckle tracking strain that improved after aortic valve replacement. Likewise, Tayyareci et al. showed a decrease in myocardial strain in patients with aortic regurgitation and a normal ejection fraction. Likewise, a preoperative left atrial (LA) strain imaging can help us in predicting the degree of LA fibrosis and remodeling after mitral valve replacement. Kanellopoulos et al. compared the LS values in patients with bicuspid aortic valve (BAV) disease and in those with degenerative aortic valve disease. They concluded that patients with BAV have a structural myocardial disease, irrespective of the degree of stenosis as compared to degenerative valve disease. These studies highlight the importance of TDI and speckle tracking in the detection of subclinical LV dysfunction in patients with valvular heart disease. Patients with ischemic heart disease may also have a component of ventricular dyssynchrony, which can have a negative impact on ventricular mechanics. Various types of speckle tracking dyssynchrony approaches have been suggested that can be derived from transgastric views. Radial and transverse strains reflect myocardial thickening whereas longitudinal and circumferential strains denote myocardial shortening. About 30% of patients selected on the basis electrocardiogram do not respond to cardiac resynchronization therapy (CRT) and there is an increasing evidence that the main predictor of responsiveness to CRT is mechanical rather than electrical dyssynchrony. , Speckle tracking and resynchronization study was the first to associate speckle tracking dyssynchrony with ejection fraction response and long-term survival after CRT. 2D strain imaging by speckle tracking and TDI has been proved to be useful for both the selection of patients who might be benefited from CRT and the evaluation of CRT efficiency. ,, An important aspect for CRT effectiveness is its dependency on the LV lead position. To find out the optimal LV lead position is, therefore, a major goal, and recent studies have shown that 2D-strain imaging is a useful tool for this purpose. Since LV dyssynchrony is a 3D phenomenon, 3D speckle tracking is emerging as a tool to detect and quantify dyssynchrony. Tanaka et al. have reported the usefulness of 3D speckle tracking to successfully quantify LV dyssynchrony. There appears a clear potential for this modality to be more accurate than 2D methods and further studies are going on. Strain and SR have found application in the assessment of myocardial function in cases of arrhythmogenic RV dysplasia (ARVD), hypertrophic cardiomyopathy (HOCM), and drug-induced cardiomyopathy [Figure 10]. Vitarelli et al. evaluate the potential utility of STE at rest and after stress to predict ARVD. The RV-LV peak systolic LS was obtained in the basal, mid, and apical segments in the apical 4-chamber view using STI. An exercise stress-echocardiographic test was undertaken using bicycle ergometry with the patient in the supine position for all patients, and the indexes were assessed at peak effort. They concluded that STI at rest and during stress might enable quantitative assessment of RV function and the detection of ARVD. Speckle tracking has been recently studied in assessing the changes in the right heart due to pulmonary hypertension. Li et al. compared  patients with pulmonary hypertension to 31 healthy controls by assessing multiple parameters that are thought to be predictive of RV changes. Kato et al. reviewed that the TDI of LS of < 10.6% was highly specific for the detection of HOCM. Likewise, Yajima et al. suggested that peak LS can distinguish fibrotic from nonfibrotic LV in cases of HOCM. 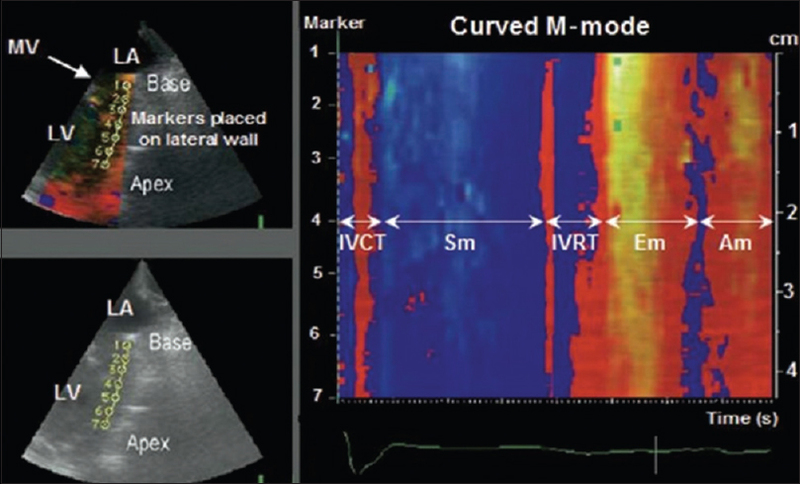 The role of 3D speckle tracking imaging in assessing the RV function has been studied by Atsumi et al.,  who noted that in patients with RV dysfunction, 3D STI indicated low peak systolic area change ratio in the damaged area. Strain for detection of ischemic Cardiomyopathy. TDI measures myocardial velocity. SR is the difference between these velocities. Strain is integrating SR over time. Strain imaging, also referred to as deformation imaging, has been used to track and quantify regional TDI myocardial function, of which speckle tracking is the most recent version which measures myocardial velocity between two points. SR is the difference between these two velocities. Speckle tracking overcomes angle dependency and passive myocardial movement. Color TDI: Measures mean velocity. We can now better understand the pathophysiology of ischemic heart disease, detect subclinical ventricular dysfunction in valvular heart disease, and assessment of dyssynchrony in CRT candidates. 3D and 4D strain imaging have emerged as a further advance to provide a better understanding of the various disease processes. Strain imaging with its advancements is going to be an important tool in the perioperative management of cardiac surgical patients for better outcomes, and it is time cardiac anesthesiologists get acquainted with this emerging and exciting technology. Heimdal A, Støylen A, Torp H, Skjaerpe T. Real-time strain rate imaging of the left ventricle by ultrasound. J Am Soc Echocardiogr 1998;11:1013-9. D'hooge J, Heimdal A, Jamal F, Kukulski T, Bijnens B, Rademakers F, et al. Regional strain and strain rate measurements by cardiac ultrasound: Principles, implementation and limitations. Eur J Echocardiogr 2000;1:154-70. Bohs LN, Trahey GE. A novel method for angle independent ultrasonic imaging of blood flow and tissue motion. IEEE Trans Biomed Eng 1991;38:280-6. Kaluzynski K, Chen X, Emelianov SY, Skovoroda AR, O'Donnell M. Strain rate imaging using two-dimensional speckle tracking. IEEE Trans Ultrason Ferroelectr Freq Control 2001;48:1111-23. Mor-Avi V, Lang RM, Badano LP, Belohlavek M, Cardim NM, Derumeaux G, et al. 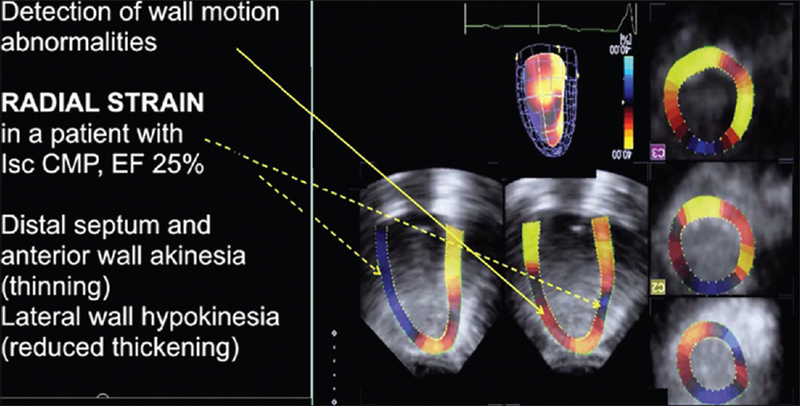 Current and evolving echocardiographic techniques for the quantitative evaluation of cardiac mechanics: ASE/EAE consensus statement on methodology and indications endorsed by the Japanese Society of Echocardiography. J Am Soc Echocardiogr 2011;24:277-313. Uematsu M, Miyatake K, Tanaka N, Matsuda H, Sano A, Yamazaki N, et al. 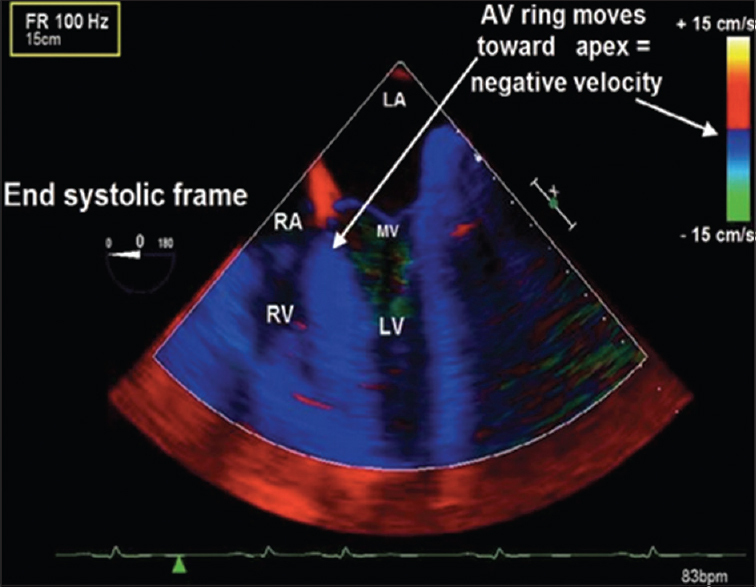 Myocardial velocity gradient as a new indicator of regional left ventricular contraction: Detection by a two-dimensional tissue Doppler imaging technique. J Am Coll Cardiol 1995;26:217-23. Stoylen A, Heimdal A, Bjornstad K, Torp HG, Skjaerpe T. Strain rate imaging by ultrasound in the diagnosis of regional dysfunction of the left ventricle. Echocardiography 1999;16:321-9. Sade LE, Gorcsan J 3 rd , Severyn DA, Edelman K, Katz WE. 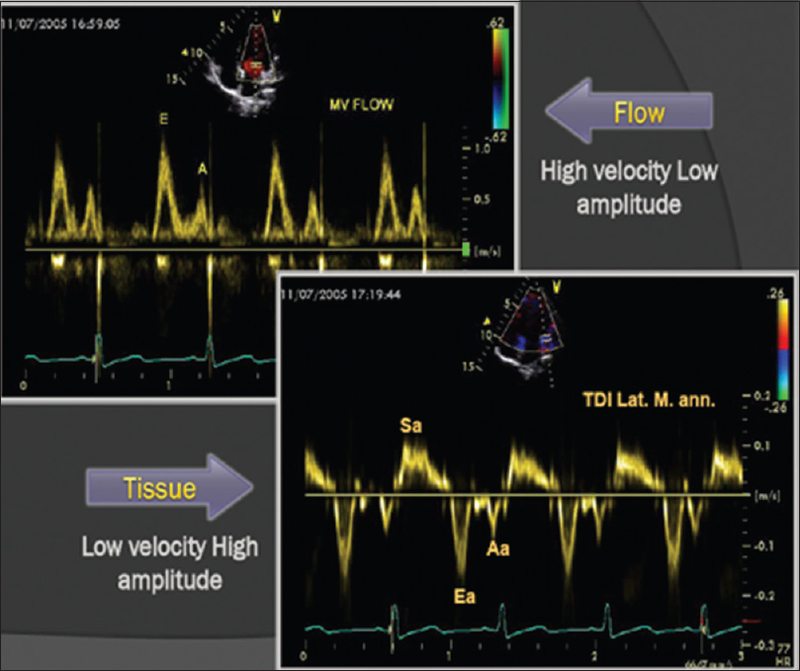 Usefulness of angle corrected tissue Doppler to assess segmental left ventricular function during dobutamine stress echocardiography in patients with and without coronary artery disease. Am J Cardiol 2005;96:141-7. Marwick TH. 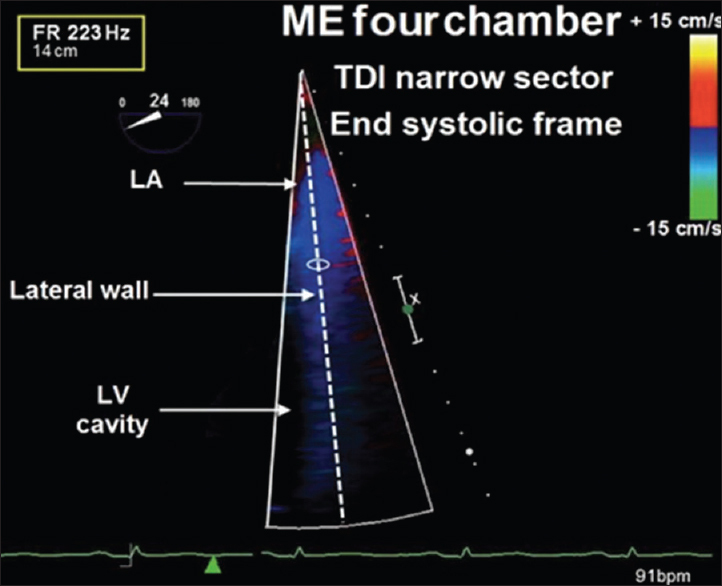 Measurement of strain and strain rate by echocardiography: Ready for prime time? J Am Coll Cardiol 2006;47:1313-27. Leitman M, Lysyansky P, Sidenko S, Shir V, Peleg E, Binenbaum M, et al. Two-dimensional strain-a novel software for real-time quantitative echocardiographic assessment of myocardial function. J Am Soc Echocardiogr 2004;17:1021-9. Blessberger H, Binder T. NON-invasive imaging: Two dimensional speckle tracking echocardiography: Basic principles. Heart 2010;96:716-22. Notomi Y, Lysyansky P, Setser RM, Shiota T, Popovic ZB, Martin-Miklovic MG, et al. Measurement of ventricular torsion by two-dimensional ultrasound speckle tracking imaging. J Am Coll Cardiol 2005;45:2034-41. Suffoletto MS, Dohi K, Cannesson M, Saba S, Gorcsan J 3 rd . Novel speckle-tracking radial strain from routine black-and-white echocardiographic images to quantify dyssynchrony and predict response to cardiac resynchronization therapy. Circulation 2006;113:960-8. Teske AJ, De Boeck BW, Olimulder M, Prakken NH, Doevendans PA, Cramer MJ. Echocardiographic assessment of regional right ventricular function: A head-to-head comparison between 2-dimensional and tissue Doppler-derived strain analysis. J Am Soc Echocardiogr 2008;21:275-83. Behar V, Adam D, Lysyansky P, Friedman Z. Improving motion estimation by accounting for local image distortion. Ultrasonics 2004;43:57-65. Korinek J, Kjaergaard J, Sengupta PP, Yoshifuku S, McMahon EM, Cha SS, et al. High spatial resolution speckle tracking improves accuracy of 2-dimensional strain measurements: An update on a new method in functional echocardiography. J Am Soc Echocardiogr 2007;20:165-70. Ingul CB, Torp H, Aase SA, Berg S, Stoylen A, Slordahl SA. Automated analysis of strain rate and strain: Feasibility and clinical implications. J Am Soc Echocardiogr 2005;18:411-8. Pérez de Isla L, Balcones DV, Fernández-Golfín C, Marcos-Alberca P, Almería C, Rodrigo JL, et al. Three-dimensional-wall motion tracking: A new and faster tool for myocardial strain assessment: Comparison with two-dimensional-wall motion tracking. J Am Soc Echocardiogr 2009;22:325-30. 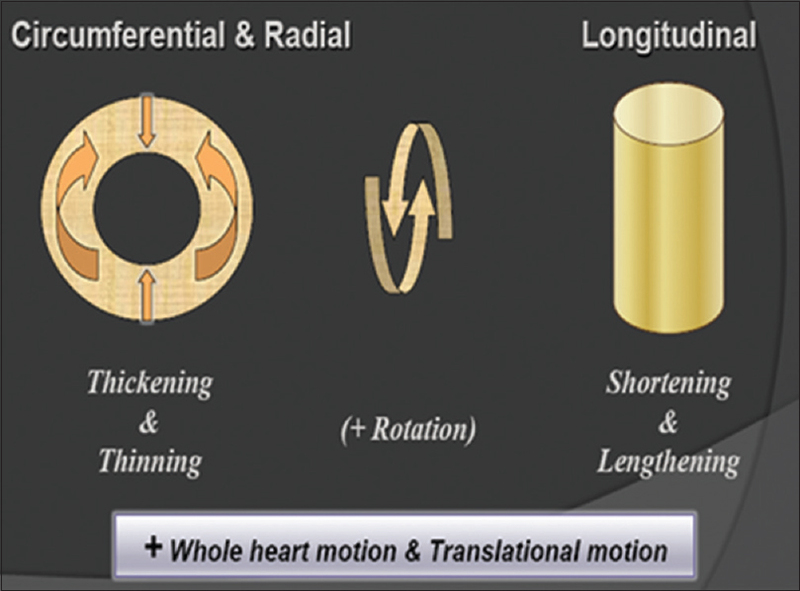 Gorcsan J, Tanaka H. Are new myocardial tracking systems of three-dimensional strain a reality in daily clinical practice? Rev Esp Cardiol 2011;64:1082-9. Kylmälä MM, Antila MK, Kivistö SM, Lauerma K, Vesterinen PH, Hänninen HA, et al. Tissue Doppler strain-mapping in the assessment of the extent of chronic myocardial infarction: Validation using magnetic resonance imaging. Eur J Echocardiogr 2008;9:678-84. Qu HY, Yao GH, Sun WY, Chen L, Li XN, Zhang PF, et al. Assessment of ischemic myocardium by strain-rate imaging during adenosine stress echocardiography. Int J Cardiovasc Imaging 2007;23:725-32. Liang HY, Cauduro S, Pellikka P, Wang J, Urheim S, Yang EH, et al. Usefulness of two-dimensional speckle strain for evaluation of left ventricular diastolic deformation in patients with coronary artery disease. Am J Cardiol 2006;98:1581-6. Dandel M, Knosalla C, Lehmkuhl H, Hetzer R. Non-Doppler two-dimensional strain imaging-clinical applications. J Am Soc Echocardiogr 2007;20:1019. Yu CM, Sanderson JE, Marwick TH, Oh JK. Tissue Doppler imaging a new prognosticator for cardiovascular diseases. J Am Coll Cardiol 2007;49:1903-14. Skulstad H, Edvardsen T, Urheim S, Rabben SI, Stugaard M, Lyseggen E, et al. Postsystolic shortening in ischemic myocardium: Active contraction or passive recoil? Circulation 2002;106:718-24. Weidemann F, Dommke C, Bijnens B, Claus P, D'hooge J, Mertens P, et al. Defining the transmurality of a chronic myocardial infarction by ultrasonic strain-rate imaging: Implications for identifying intramural viability: An experimental study. Circulation 2003;107:883-8. Lim P, Pasquet A, Gerber B, D'Hondt AM, Vancraeynest D, Guéret P, et al. Is postsystolic shortening a marker of viability in chronic left ventricular ischemic dysfunction? Comparison with late enhancement contrast magnetic resonance imaging. J Am Soc Echocardiogr 2008;21:452-7. Kasner M, Gaub R, Sinning D, Westermann D, Steendijk P, Hoffmann W, et al. Global strain rate imaging for the estimation of diastolic function in HFNEF compared with pressure-volume loop analysis. Eur J Echocardiogr 2010;11:743-51. Seo Y, Ishizu T, Enomoto Y, Sugimori H, Aonuma K. Endocardial surface area tracking for assessment of regional LV wall deformation with 3D speckle tracking imaging. JACC Cardiovasc Imaging 2011;4:358-65. Ternacle J, Gallet R, Champagne S, Teiger E, Gellen B, Dubois Randé JL, et al. Changes in three-dimensional speckle-tracking-derived myocardial strain during percutaneous coronary intervention. J Am Soc Echocardiogr 2013;26:1444-9. Delgado V, Tops LF, van Bommel RJ, van der Kley F, Marsan NA, Klautz RJ, et al. Strain analysis in patients with severe aortic stenosis and preserved left ventricular ejection fraction undergoing surgical valve replacement. Eur Heart J 2009;30:3037-47. Tayyareci Y, Yildirimturk O, Aytekin V, Demiroglu IC, Aytekin S. Subclinical left ventricular dysfunction in asymptomatic severe aortic regurgitation patients with normal ejection fraction: A combined tissue Doppler and velocity vector imaging study. Echocardiography 2010;27:260-8. Her AY, Choi EY, Shim CY, Song BW, Lee S, Ha JW, et al. Prediction of left atrial fibrosis with speckle tracking echocardiography in mitral valve disease: A comparative study with histopathology. Korean Circ J 2012;42:311-8. Kanellopoulos G, Monin JL, Ternacle J, Dubois-Randé JL, Lim P. Structural myocardial dysfunction in bicuspid aortic valve disease - A speckle tracking study. Arch Cardiovasc Dis Suppl 2015;7:42. Lim P, Buakhamsri A, Popovic ZB, Greenberg NL, Patel D, Thomas JD, et al. Longitudinal strain delay index by speckle tracking imaging: A new marker of response to cardiac resynchronization therapy. Circulation 2008;118:1130-7. Tanaka H, Nesser HJ, Buck T, Oyenuga O, Jánosi RA, Winter S, et al. Dyssynchrony by speckle-tracking echocardiography and response to cardiac resynchronization therapy: Results of the Speckle Tracking and Resynchronization (STAR) study. Eur Heart J 2010;31:1690-700. Dandel M, Wellnhofer E, Lehmkuhl H, Knosalla C, Grauhan O, Hetze R, et al. Early detection of left ventricular wall motion alterations in heart allografts with coronary artery disease: Diagnostic value of tissue Doppler and two dimensional (2D) strain echocardiography. Eur J Echocardiogr 2006;7:S127-8. Teske AJ, De Boeck BW, Melman PG, Sieswerda GT, Doevendans PA, Cramer MJ. Echocardiographic quantification of myocardial function using tissue deformation imaging, a guide to image acquisition and analysis using tissue Doppler and speckle tracking. Cardiovasc Ultrasound 2007;5:27. Friedberg MK, Silverman NH, Dubin AM, Rosenthal DN. Mechanical dyssynchrony in children with systolic dysfunction secondary to cardiomyopathy: A Doppler tissue and vector velocity imaging study. J Am Soc Echocardiogr 2007;20:756-63. Becker M, Franke A, Breithardt OA, Ocklenburg C, Kaminski T, Kramann R, et al. Impact of left ventricular lead position on the efficacy of cardiac resynchronisation therapy: A two-dimensional strain echocardiography study. Heart 2007;93:1197-203. Tanaka H, Hara H, Saba S, Gorcsan J 3 rd . Usefulness of three-dimensional speckle tracking strain to quantify dyssynchrony and the site of latest mechanical activation. Am J Cardiol 2010;105:235-42. Vitarelli A, Cortes Morichetti M, Capotosto L, De Cicco V, Ricci S, Caranci F, et al. Utility of strain echocardiography at rest and after stress testing in arrhythmogenic right ventricular dysplasia. Am J Cardiol 2013;111:1344-50. Li Y, Xie M, Wang X, Lu Q, Fu M. Right ventricular regional and global systolic function is diminished in patients with pulmonary arterial hypertension: A 2-dimensional ultrasound speckle tracking echocardiography study. Int J Cardiovasc Imaging 2013;29:545-51. Kato TS, Noda A, Izawa H, Yamada A, Obata K, Nagata K, et al. Discrimination of nonobstructive hypertrophic cardiomyopathy from hypertensive left ventricular hypertrophy on the basis of strain rate imaging by tissue Doppler ultrasonography. Circulation 2004;110:3808-14. Yajima R, Kataoka A, Takahashi A, Uehara M, Saito M, Yamaguchi C, et al. Distinguishing focal fibrotic lesions and non-fibrotic lesions in hypertrophic cardiomyopathy by assessment of regional myocardial strain using two-dimensional speckle tracking echocardiography: Comparison with multislice CT. Int J Cardiol 2012;158:423-32. Atsumi A, Ishizu T, Kameda Y, Yamamoto M, Harimura Y, Machino-Ohtsuka T, et al. Application of 3-dimensional speckle tracking imaging to the assessment of right ventricular regional deformation. Circ J 2013;77:1760-8. Langeland S, Rabben SI, Heimdal A, Gérard O. 4D Strain: Validation of New 3D Speckle Tracking and Left Ventricular Tool in Simulated Echocardiographic Data. Moderated Poster Presentation at Euroecho 2010. Abstract; P658.